While much of my focus has been on the Night's Watch and Free Folk lately, I have not forgotten about the original Starks and Lannisters! 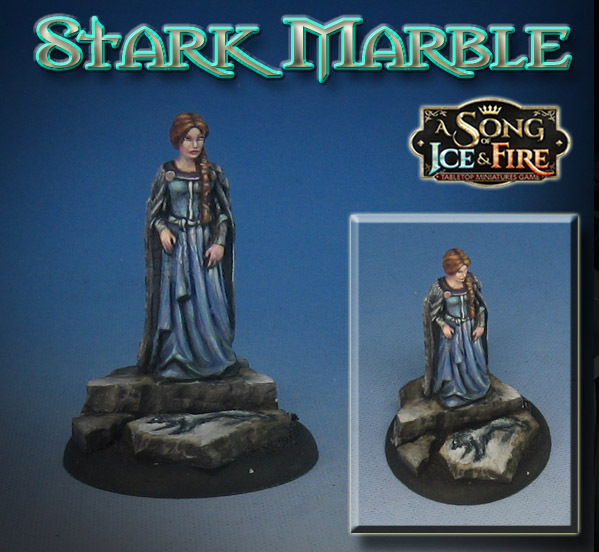 Tutorials are under way for the full range of Starks... Outriders, Archers, Berserkers, Greataxes, etc. I am also doing some tutorials on the NCU's of course! Sansa and Caitlyn will certainly be part of that. These will try to follow the concept art as closely as possible, but tossing in a few extras where I can. I have been creating some marble bases for them with a bit of wolf iconography.